Gravel root is a powerful therapeutic plant that's popular in traditional medicine. Generally a mauve- or white-colored flowering perennial, gravel root can primarily be found along the East Coast of North America and Canada. Gravel root can sometimes be found as far south as Florida as it thrives in sunny and damp conditions. Often, the plant is found in wetlands, woodland areas, and meadows. The most striking characteristics of this amazing plant are its appearance and unique floral scent. In some regions, gravel root has been known to exude a fragrant and inviting sweet vanilla aroma. If you happen upon this plant, it isn’t uncommon to see hummingbirds frequenting the petals. 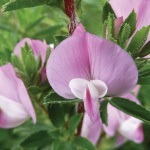 Seasonally, gravel root will flower and ripen between the months of August and November each year. Its nectar is highly attractive to a diverse range of insects and birds, two beneficial organisms that aid in pollinating the plant. In an effort to maintain potency of the phytochemical properties inherent in the flowers, the optimal picking time appears to be in late summer. Gravel root is a revered North American herbaceous plant with many therapeutic properties. 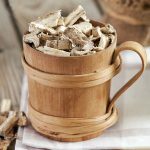 It has become legendary over the centuries among naturopathic healers and herbalists, and for good reason. The term “gravel root” became synonymous with this plant due to its powerful ability to dissolve stones (gravel) formed and accumulated in the kidneys and gallbladder. A mainstay herb of the early Native American Iroquois, Cherokee, and Ojibwe tribes, the gravel root was known as "little medicine water." The plant was also commonplace among 20th-century American herbalists. In both groups, gravel root was used for kidney ailments, among other conditions. The roots, stems, and leaves have been used in many herbal remedies; however, the root is the most prized part of the plant in relation to therapeutic properties. The root is often used in practical healing applications (usually as a complementary approach) in the form of tea and liquid tinctures. 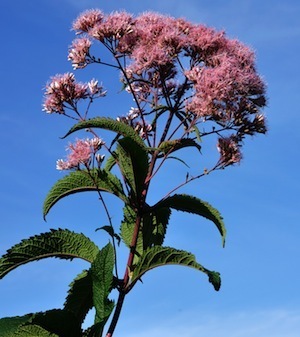 Folklore has it that Native American herbalist and healer Joe Pye (where the widely-used nickname "Joe Pye weed" originated) was an early proponent of gravel root and used it in his apothecary practice with much success. It was reported that one of its most popular uses during this time was combating typhoid fever. The term "jopi" was used by Native Americans to describe typhoid fever, a disease often treated by gravel root. The jopi weed (gravel root) was likely used by Native Americans as a form of medicine and probably called upon to treat a variety of ailments. As the colonists learned of its use and its name, it likely became pronounced and spelled as “Joe Pye” weed. 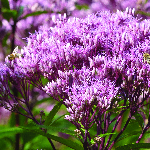 Gravel root’s latin name, Eupatorium purpureum, is said to have originated back to King Mithridates Eupator of Pontus (Asia Minor) between 120 to 63 BC. As a young king, attempts on his life by his mother drove him into hiding in the mountainous regions. It is said he adopted the practice of ingesting small amounts of mildly-poisonous herbaceous plant substances to increase his immunity. One of the plants he consumed was thought to be from the Eupatorium genus. The eclectic, and often debated, origins behind this therapeutic herb have earned it a mystique-like reputation as a highly-effective healing remedy. 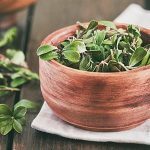 While we can never be sure as to when it was exactly discovered, it is known that the herb has been heralded by many ancient teachers, healers, and rulers across the globe. Do you have any experience with gravel root? Leave a comment below and share with us! Schmidt GJ, Schilling EE. Phylogeny and biogeography of Eupatorium (Asteraceae: Eupatorieae) based on nuclear ITS sequence data.. American Journal of Botany. 2000 May;87(5):716-26.